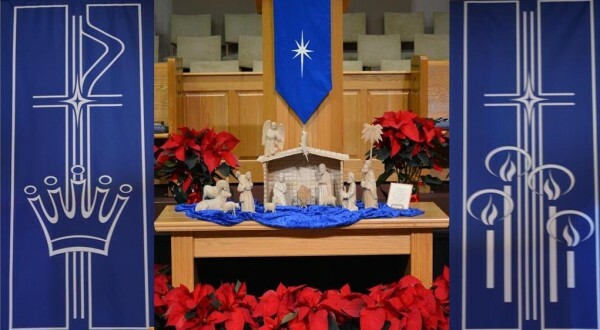 Dr. Steve Ayers will deliver today’s sermon on the Fourth Sunday in Advent. Special music today includes “Manger Lullaby” with Glenita Riley on bells, Kim Lyda piano and Charlotte Reid flute. An offering is taken each Sunday in December for Global Missions. The church goal is $4,000. With your contribution you are supporting Cooperative Baptist Fellowship literacy ministries and field personnel worldwide. The Longest Night Service is tonight at 6 p.m. Please see Earnie Hartsell if you would like to help a group assemble the Christmas Pokes on December 24 at 10 a.m. This is a long tradition at McGill. We thank the Morris Family for continuing to do this in memory of Mr. Arthur Morris. Christmas Eve Services are at 6 and 11 p.m. The Community Blood Bank is at McGill on Jan. 11 from 4-7 p.m. See Donna Duncan if you have questions. The NC Cooperative Extension Center is offering a Cook Smart, Eat Smart Cooking School during Jan. 7th, 14th, 21st, and 28th. Cost is $50 and includes dinner each night and a cookbook. See Joyce Kluttz if you have questions.